Identify resources to help support authenticity and collaboration and the creation of effective learning environments. The purpose of this chapter is to introduce the notion of communicative competence in foreign language teaching and provide available resources for enhancing language learners’ language skills through integrating technology into your instruction. We focus on two aspects - authenticity and collaboration, and how to create learning environments incorporating these ideas through technology integration. After our discussion on the two aspects, we compile a list of online resources that you can refer to when teaching different language skills, followed by two scenario-based examples. Why is communicative competence important? Among the five World-Readiness Standards for Learning Languages proposed by the American Council on the Teaching of Foreign Languages (Cutshell, 2012), communication is one of the five focal areas that decide how effective language learners can use language competence to participate in communities through achieving different communication goals, such as interacting with other members, understanding communication topics, or presenting information to various audience. The emergence of technology has made it easier for language instructors to improve their students’ communicative competence as more forms of group work, teacher-student interactions, and authentic learning situations become available. Figure 1. 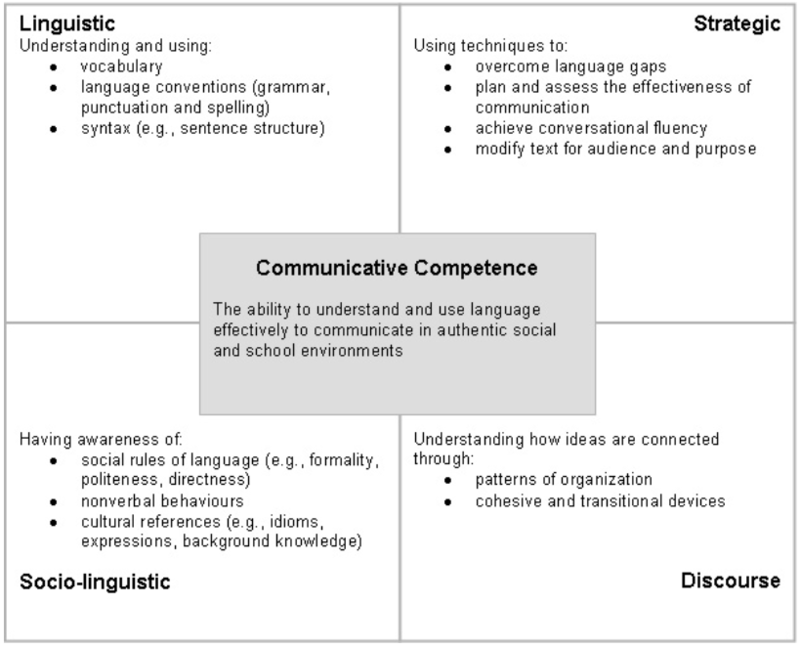 The four areas of communicative competence (The Alberta Government, n.d.). As shown in figure 1, communicative competence requires more than knowing the vocabulary, grammar or language patterns. The foreign language learners also need to be fully aware of the social rules of the target language, the cultural references, the communication modes and then strategically utilize various communicative strategies to build up a successful communication. Therefore, as we help our language learners develop their listening, speaking, reading and writing skills, we need to consider how our instruction addresses all four areas of competence constituent of the communicative competence. How to enhance students’ communicative competence? A communicative language learning approach heavily emphasizes language learning through interactions and real-life learning situations. To create lessons that enhance students’ communicative competence, two concepts you would not want to miss are authenticity and collaboration. Now, if it were twenty or thirty years ago, incorporating authentic materials or communication tasks probably wouldn’t be the easiest task for foreign language instructors, but thanks to modern technologies, finding authentic materials and reaching out to authentic audience has made relatively easy. Through various information technologies, engaging in authentic communications with authentic audience who speaks the language without travelling abroad becomes possible. It requires more than basic language skills to make effective communication happen, and building students’ communication competence in collaborative learning environments gives them chance to focus their attention on linguistic development during social interactions. Collaboration allows students to work together toward a shared goal, through which they verbalize their ideas and engage in decision-making processes that stimulate awareness of their own strengths and weaknesses and leads to better comprehension of the content. Do I select a topic for the learning tasks that are engaging, challenging and able to stimulate conversations? Does accomplishing the task require my students to use language as a tool to communicate and negotiate so that they will engage in meaning-making activities? Of course, there are more to keep in mind as we design collaborative tasks, like how to group the students strategically to ensure enough diversity in the group or to ensure contribution from each group member, and whether or not we provide enough scaffolding to enable the students to complete the task, just like in other types of learning tasks. But here we especially want to emphasize that putting students in groups would not make it a collaborative task; rather, how to set up a task where each group member can serve as resources to one another and where languages mediate the process of meaning negotiation is what makes this language learning experience collaborative and meaningful. Many of the new technologies have been born with the idea of collaboration in mind. These technology tools not only diversify forms of collaboration but also create handy platforms that extend learning outside the classroom. How to use technology resources for enhancing communicative competence? Being able to communicate in a foreign language involves the speaker’s integrated competence of the 6 language skills: grammar, listening, speaking, reading, writing and culture. In actual communications, these 6 skills are all necessary in order for a successful communication to happen. For example, imagine that a student wanted to talk to a professor about the assignment requirements. In this scenario, a series of literacy events happened and connected to one another, leading to the final communication event. First, the student needs to have the reading competence to understand the assignment description. He or she probably also needs to write an email to the professor in order to schedule the meeting. With this email correspondence as well as the face-to-face meeting, whether the student is familiar with the social rules of the culture dictates how successful this communication would be. In the face-to-face meeting, listening and speaking skills are undoubtedly critical for both parties to understand each other. Finally, the grammar knowledge governs the student’s comprehension of all language output in all the literacy events. So, as you can see from the example, all 6 language skills are equally important and need to be taught in an integrative way. But for the sake of categorization, we listed out the 6 language skills as separate categories and introduce technology tools that are particularly useful, but not limited to, for fostering certain types of language skills. Kahoot [https://kahoot.it/#/]: Some basic drills (but not too much!) on grammatical structures are necessary. After you introduce a grammatical structure, it is a good idea to allow students practice the grammar structure before moving to applying the grammar knowledge in communicative tasks. To make the drill practice interactive and engaging and customized to fit your own learners’ needs, foreign language teachers have been using Kahoot to create their grammar exercises. The alternative tools for interactive game-based assessment includes Socrative [https://www.socrative.com/] and Quizizz [https://quizizz.com/]. Google Docs (https://edtechbooks.org/-tV): Google docs has long been seen as one of the most powerful tools for student collaboration. By using google docs, you can encourage students to engage in pair editing one another’s grammar errors and use the chat window on google doc to have silent conversations on how to correct the grammar mistakes. In order for the pair editing to work, teachers need to monitor the process closely and offer clear guidance and criteria to scaffold the process. Tell students what they should be looking for during pair editing and perhaps color code the types of errors (spelling, punctuation, word choice, or grammar). The following lesson plan offers great ideas on how to structure the process: https://edtechbooks.org/-fC Additionally, if you have your students blogging on Wordpress, you can encourage students to download the Poetica plugin (https://edtechbooks.org/-AX) to effectively engage in peer editing on Wordpress. Wordreference [http://www.wordreference.com/]: Anyone learning a foreign language needs to know this website. This is one of the most powerful and essential referencing tools for learning a foreign language. They offer dictionaries in 18 languages. With each word, they offer definition, pronunciation audio, phonetic symbol and the compound forms. If you teach French, Spanish or Italian, this website even offers conjugator so the students can look up the conjugation of verbs in that language. The language forum of this website is also THE PLACE to go if you have grammar questions. Language learners and teachers around the globe gather on this forum to discuss and learn foreign languages together. It is just amazing! We highly recommend that foreign language teachers introduce this platform to language learners at the first week of class. Teach them how to navigate through the website to make the most out of it and encourage the language learners to participate in the forum discussions. Corpora [https://crl.ucsd.edu/corpora/]: Corpora is another critical and powerful tool for improving students’ lexical and syntactic understanding. Through corpora, students are able to see how a word is used in authentic communicative contexts and how the word should be placed in a sentence. Many studies have pointed out The use of corpora Usually, a corpus database would not be as intuitive as using Google search engine, so the language instructors really need to know how to navigate through the database and teach students how to use it, too. The attached link offer a list of corpora in various languages. If the language you are teaching is not listed, the most efficient way to find the corpus database you need is probably by googling “corpos+your target language”. Teacher learning resources: The following two links offer you ideas for teaching grammar in the foreign language classroom as well as a learning module for grammar teaching methods. BBC (https://edtechbooks.org/-YUk): If you work with advanced language learners, BBC offers news articles, videos and audios in various languages. This is a great place for finding authentic resources for listening and reading practice. Yabla [https://www.yabla.com/]: Yabla offers authentic videos for improving listening in six languages: Chinese, Italian, Spanish, French, German and English. They have videos for all levels of language learners and the teacher can also monitor students’ performance on Yabla, too. With the integration of dual language dictionaries and subtitles control, Yabla really is an incredible tool for listening comprehension training. Innovative Language (https://edtechbooks.org/-rK): Innovative Language offers integrated language lessons for over 30 languages. They offer audio and video lessons that learners can view on laptops or on the mobile app. You can download the audio and video lessons to your mobile phones and listen to them repeatedly when you are driving, walking or taking bus. Simply just utilize any small chunk of time you have to immerse yourself in the language with this tool. What’s even more amazing about this learning platform is that, if you upgrade to premium account, you also get an online tutor who will helps you personalize your learning, providing feedback on your submissions, and answer questions you have about the language! Pocoyo [https://www.pocoyo.com/]: If you work with young kids, Pocoyo offers cartoon videos for educational purposes in 6 languages: English, Spanish, Italian, Portuguese, Turkish, and Russian. They are great materials for delivering meaningful and authentic content-based language lessons for students of young age. Lyrics Training [https://lyricstraining.com/]: Who doesn’t love music? Language instructors have been using songs as a way for training language learners’ listening comprehension. Lyrics Training provides music videos for over 10 languages. What’s even more incredible about this website is that, with each music video, they embed fill-in-blank exercise with which you can adjust the difficulty level based on the learner’s language proficiency. Flipgrid [https://info.flipgrid.com/]: Flipgrid is a great way to ignite student discussions. Basically, a teacher creates a grid with a central discussion question or task. Then, students respond to the prompt by interacting with one another in the form similar to making video diary but in a collaborative and safe social community. Teachers can use Flipgrid to foster cross-classroom and cross-cultural conversations in a safe and monitored environment. Through talking to a camera, it also encourages students who are shy and less confident to speak in class to have a voice and be heard in an authentic community. Mango (https://edtechbooks.org/-Ne): Mango offers language lessons in a great variety of languages as well. This website situates language learning in conversational contexts. With each language lesson, they list out the conversation goals and grammar goals. This website can be a great supplementary activity for students to practice and enhance their conversational skills. My Language Exchange (https://edtechbooks.org/-jKv): One of the best way to practice speaking a foreign language is through language exchange. My Language Exchange is an effective platform for finding a language exchange partner to practice speaking. They also offer lesson plans that you can follow to structure the language exchange sessions. Alternative platforms for finding a language partner includes Mixxer (https://edtechbooks.org/-FRf), Speaky [https://www.speaky.com/blog/] and Easy Language Exchange (https://edtechbooks.org/-Wq). However, like any other social networking platforms, you need to be very careful about giving out your personal information and making friends with people online. If teachers are concerned about the safety of unmonitored language exchange and want to find another classroom for conversation exchange, ePal (https://edtechbooks.org/-Td) and Skype in the Classroom (https://edtechbooks.org/-fV) are two possible platforms for this purpose. Video and audio recording tools: Using video conferencing tools allows students to practice communications in the interpersonal mode (see ACTFL’s World-Readiness Standards [https://edtechbooks.org/-HWh]). On the other hand, having students make videos or audio recordings allows them to practice communications in the presentational mode through multimodal and creative ways. Making videos or audio recordings allow students to making meaning through storytelling. Through the storytelling process, teachers can also help student develop oral fluency and pronunciation accuracy. Below is a list of popular tools used by teachers. Vocabulary: Learning vocabulary is almost the first step for language learners to start learning a new language as words are what delivers meaning and used to present ideas. Without lexical knowledge, students would not be able to understand other language speakers or texts, and to make themselves understood. Its relation to reading comprehension has also been discussed in studies (e.g. Pearson, Hiebert, & Kamil, 2007). In the following you will find some tools of different functions for teaching and learning vocabulary. Memrise [https://www.memrise.com/] is a self-learning website that offers a variety of courses for different purposes or at different levels. Its language courses mainly focus on vocabulary, presenting and reinforcing content through multimodal ways repeatedly while providing exercises for learners to check their progress. Another similar self-learning site is Busuu [https://www.busuu.com/]. Designed as self-learning tools doesn’t mean they cannot be used in the classroom. Depending on the topics you cover, you can select courses from the websites to be used as additional exercises. Memrise also calculates points for the learners when exercises are finished, which would be an interesting way of motivating students or engaging them in a competitive way. Stories from other language learners are shared in its blog, giving readers first-hand reports on how language learning changes their life and perspective. Quizlet [https://quizlet.com/] is a powerful tool for both teaching and learning vocabulary. Teachers can create vocabulary sets for students to practice and can monitor their study progress online. Meanwhile, students can also create their own flash cards for reviewing vocabulary. The tool also makes creating exercises or homework easier for the teachers. You will find more possibilities to utilize this tool to suit your diverse teaching purposes. 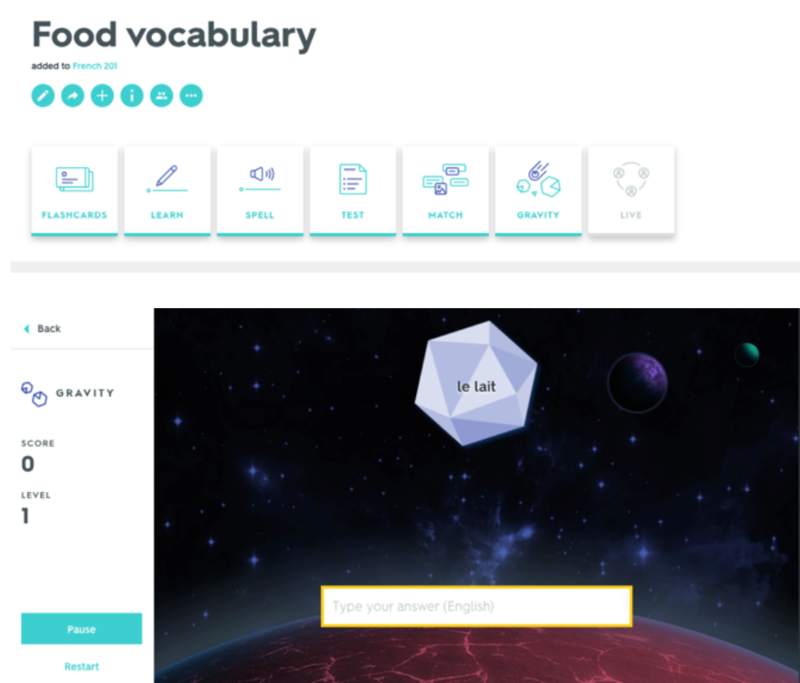 Rewordify [https://rewordify.com/]: There must be times when we wish to use an article in our class but find the vocabulary too challenging or inappropriate for the students’ level. Rewordify helps teachers simply the difficult vocabulary of a text and save them time in finding the exact right materials. Useful to the students as well, it also provides short sessions to facilitate reading comprehension and makes learning more personalized. Creating word clouds: Word Sift [https://wordsift.org/] or Wordle [http://www.wordle.net/] are great resources for creating word clouds. Dictionary or reference tools: Lingro [http://lingro.com/] offers vocabulary translation in 11 language. Shahi [http://blachan.com/shahi/] is a really cool interactive visual English dictionary that gives you Flickr images according to your search. Snappy Words [http://www.snappywords.com/], YourDictionary [http://www.yourdictionary.com/], and Lexipedia [http://www.lexipedia.com/] are similar tools that help visualize English vocabulary words. Graphic organizers: Using graphic organizers is a great way to help student learn vocabulary words. To create graphic organizers, Popplet [https://popplet.com] and Inspiration [http://www.inspiration.com/] are two great tools. Read aloud tools: One of the key methods to teach reading to your students and to help develop reading comprehension is to read aloud to them. With diverse technology tools available, teachers and parents now have more options when reading aloud to their students and children. The downside of these tools is that most of them are not available in diverse languages and that many of them are not free. Newsela [https://newsela.com/]: To improve students’ reading skills, we often try to find outside reading for them because simply having students read the textbook would not be adequate. Newsela is a website that provides articles of current issues tailored for students of different levels. It allows teachers and students to annotate a text at the same time, and is convenient for teachers to track students’ reading progress. Pen Pal School [https://www.penpalschools.com/]: Making learning fun is one of the most important ways to engage your students in learning, and getting them a pen pal that brings cross-cultural experience is definitely an exciting way to go. This valuable experience will involve your students in authentic writing practices with authentic audience, increase their cross-cultural awareness, and foster their cross-cultural communication skills. Another site you can consider is International Pen Friends (https://edtechbooks.org/-gH). While helping you students have all the fun having pen-pal exchange, teachers need to be cautious about Internet safety issues in order to ensure a fun and safe learning experience for their students. Also, students need to be taught what personal information to share with their pen pal, especially before they get to know each other well enough. 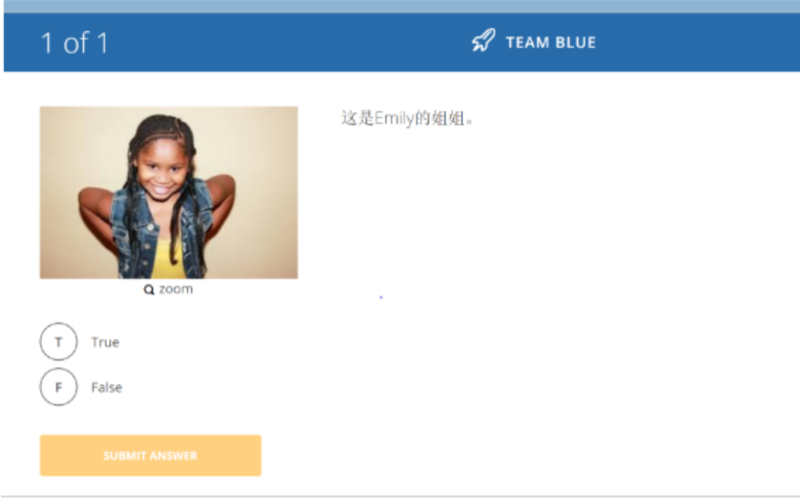 To make pen pal experience even richer, Global Read Aloud Project (https://edtechbooks.org/-bT) is another option teachers have if they want to combine reading and pen pal experiences for their students. Skype in the Classroom (https://edtechbooks.org/-fV): A great way to teach culture is to bring your students to where the target culture is, but if this does not sound realistic, now you have options like Skpe in the Classroom, which can bring your students in contact with that culture too without having to physically go to the place. This community connects your students to the world by offering virtual field trips, skype lessons, collaboration opportunities, games, and guest speakers, all of which enhance students’ understanding of different cultures around the world. Videos: Nothing can beat authentic materials when it comes to teaching the culture of a language. We are lucky to live in an digital age when all kinds of authentic videos are available just a few clicks away. FluentU [http://www.fluentu.com/]: One of the best site providing language immersion videos, FluentU makes a variety of authentic videos like news, talks, music videos, or movie trailers accessible to you and your students, and even better, with interactive subtitles. The site currently has a collection of videos in nine popular foreign languages. YouTube [https://www.youtube.com/]: We are sure that many of you have come to Youtube to be entertained. Though Youtube videos are not all made for learning purposes, you can select a few channels for your students to subscribe according to their levels. World stories [http://worldstories.org.uk/]: Listening to stories originates in a foreign culture is one way to immerse in that culture because stories carry cultural messages. On this site, you will find different children’s story collections, and many of these stories are told in more than one language, and almost 30 languages in total. Scholastic.com (https://edtechbooks.org/-nqH): Not all of us were born in multilingual and multicultural families. To learn more about how to embrace diverse cultures before we go teach cultures to our students, these are some good reads about teaching cultures from educators and teachers working with different grade levels. Miss Lee first taught the keywords for addressing family members in Chinese (e.g., mother, father, older sister and younger brother). Chinese has different titles for different relatives in the family depending on the seniority and whether the relative is from the father’s side or the mother’s side. Miss Lee explained the basic system for deciding how you address a relative. To help students visualize the relationship, she searched and found a diagram that depicts the basic structure of the extended Chinese family with titles for all relatives at https://edtechbooks.org/-Id. Introduce sentence patterns that are useful for introducing family members. My/his/her _________ likes something/ doing something. Students introduce family members on Flipgrid. 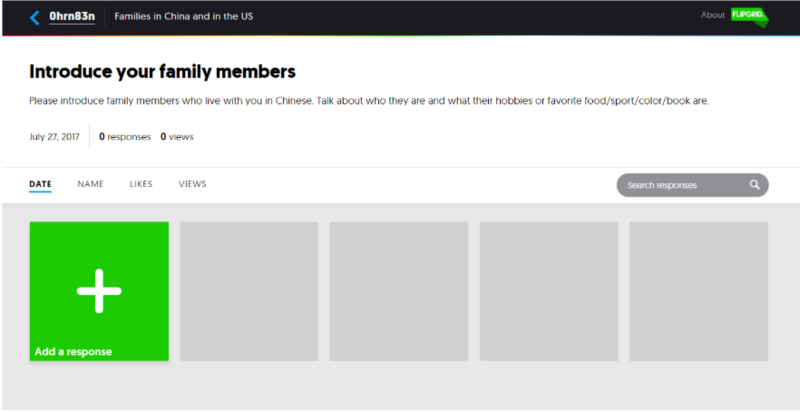 Miss Lee asked the students to introduce family members who live with them on Flipgrid [https://info.flipgrid.com/]. She asked the students to either draw pictures of their family members or find photos of their family members for the introduction. Miss Lee encouraged students to practice doing the introduction a few times before they record their responses on Flipgrid. Miss Lee taught additional new sentence pattern, vocabulary and grammar that students need to know in order to engage in a later discussion about their family members in Chinese. Teach sentence pattern, vocabulary and grammar that are useful for discussing family members with others. Students work as groups to listen and relisten to the video responses posted on Flipgrid and complete a google doc worksheet. How many students have younger sister(s)? How many students have older brother(s)? List five hobbies of the fathers. List five favorite food of the mothers. How many students live with their grandparents? If students couldn’t understand what the person said in the video, they are encouraged to ask the person to explain himself or herself in Chinese with the facilitation of body language, gestures and other techniques for overcoming language gaps. Students play a Socrative game to review all the language points. (A picture of a girl pops up) This is Emily’s younger sister. True or False? What color does David’s older brother like? How many older sisters does Lindsay have? Does Jessica live with her grandparents? Wrap-up discussion on the Flipgrid activity and provides insights into Chinese family values. How many students in our class have 2 siblings? More than 2? How many students in our class live with their grandparents? Do your grandparents live with your parents or your uncles and aunts? Do you think you will live with your parents after you become an adult? Why or why not? What do you think the core family look like in Chinese societies? Do you think Chinese have similar family structure as yours? What similarities and differences do you expect to find out? After the discussion, Miss Lee showed the BBC lesson “Family introductions” (https://edtechbooks.org/-KY) to review some basic sentence patterns and vocabulary words, and offer some initial cultural insights about Chinese families. Students interview Chinese native speakers to learn about their family members. To engage students in authentic communications with audience outside of the classroom, Miss Lee arranged Skype [https://www.skype.com/en/] sessions for the students to chat with Chinese native speakers to learn facts about their families. Students worked in a group of four on this telecommunication project. Each group interviewed 4 Chinese people to learn about their family members and their familial values. Students took turn to be the interviewer, note taker, cameraman and technology leader for the interviews. What are the cultural differences and similarities between families in China and in the US you assumed? What questions can you ask the interviewees to check whether the assumptions are correct? Students create digital essays to share their understanding about families in China and in the US. As the final culminating activity, Miss Lee had students create a digital essay to share their understanding about families in China and in the US. With this assignment, students worked with the same group members and used Shadow Puppet [http://get-puppet.co/] to make the digital essay by incorporating photos, videos, drawings and voice-overs. Miss Lee created a worksheet to facilitate students’ script writing process and encouraged students to think about how they want to discuss the differences and similarities between Chinese and American families in the form of a video. In learning a foreign language, gaining vocabulary knowledge is an important way for students to understand others and to get themselves understood. Miss Dubois introduced key vocabulary to her students, and selected a group of more common words to make a study list for her students on Quizlet [https://quizlet.com/]. The study set she created was added as one of the study sets for her class. She created different kinds of exercises as homework for the students, and monitored the study progress her students had made for each study set. To make vocabulary practices more fun, she decided to also use the gravity game feature. Using this features requires no additional effort form teachers. You will just need to select a study set you have created earlier, and the site will help you turn it into a gravity game. Quel est ton/ta … préféré/préférée? = What is your favorite…? 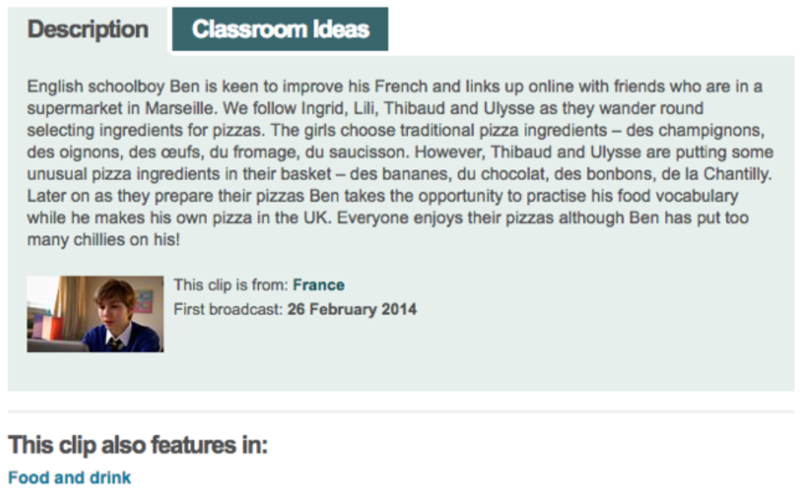 Since one of the goals of this lesson is to enable students to talk about food with friends, Miss Dubois selected a short clip of a similar scenario where an English speaking student who wants to improve his French has connected with friends who are far away in Marseille, France. Though the context available to Miss Dubois’ students would not be the same as that in this video, students would get to visualize how that communication looks like. The video selected is from BBC Bitesize Modern Languages (https://edtechbooks.org/-UH), but just keep in mind that the point of using a video at this stage is to build up cultural knowledge students may need in later tasks while giving them chance to review vocabulary in an authentic context. It is always good to reuse a video students watch for practicing other language skills. For example, the video Miss Dubois selected to give her students more cultural input and review vocabulary can also be used to expand a discussion on topics related to cross-cultural communication or comparison. Did Ben and his French friends encounter any communication problems? What kind of problems do you think would happen if you were Ben? How would you solve them? These are just some questions you can ask to help your students better develop cross-cultural awareness, and you will sure find more to ask. Once you and your students spend enough time on a topic extended from the discussion, it is the right time to have them put thoughts into words. You can implement individual or collaborative writing tasks, depending on how well-prepared your students are in writing about the given topic. Alternatively, you can have your students start a blog that can be used to enhance collaboration between classmates as well as between them and their future pen pal (whom they will get connected later through PenPal Schools). Since having students exchange with a pen pal about a topic is our next step, it is important too that your students are equipped with the writing skills needed in exchanging with their pen pal. For language learners, nothing is more exciting than communicating with a real person in the target language. Miss Dubois connected her students with students who were doing the same project around the world through PenPal Schools [https://www.penpalschools.com/]. The site offers a variety of online classes/projects for teachers to choose from. You can narrow your search based on the date to start, the project length, the subject, etc. as the screenshot shows below. Once you decide on the project, you will get a class code, with which you can invite your students to join you on the site. Then students will be matched based on the subject they are studying, age, etc. Convenience isn’t the best part of using this site. As a teacher, we will need to keep our students safe in the learning space. PenPal Schools makes it easy not only to monitor the interaction between your students and their pen pal but also to rate their performance on the project, since you will be able to see all the exchanges between them. One thing to pay attention to is that there usually will be deadlines for finding a match; be sure to consider this when you plan to use this site in your classroom. If you are not sure how to start, this blog article from a teacher in the PenPal Schools Global Ambassador Program (https://edtechbooks.org/-GUF) will give you some useful tips when you get ready for it. Gilmore, A. (2007). Authentic materials and authenticity in foreign language learning. Language Teaching, 40(2), 97-118. Johnston, B. (2007). Theory and research: Audience, language use, and language learning. In J. Egbert & E. Hanson-Smith (Eds), Call environments: Research, practice, and critical Issues (2nd edn) (pp. 61-70). Alexandria, VA: TESOL. 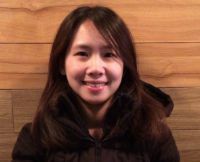 Ai-Chu Elisha Ding is an assistant professor of educational technology at Ball State University. She received her Ph.D. from Indiana University-Bloomington with dual major in Instructional Systems Technology and Literacy, Culture and Language Education. 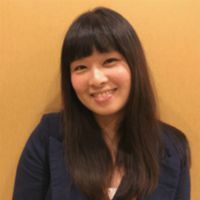 She has taught undergraduate and graduate level courses including Using Computer in Education, Computer-Assisted Language Learning, and Instructional Design and Technology. Her research interests include technology-enhanced second and foreign language learning, K-12 teachers’ technology integration beliefs and practices, and using video case approaches to support teacher learning. Jui-Hsin Renee Hung is a doctoral candidate in the Department of Literacy, Culture, and Language Education, and a Master's student in the Department of Instructional Systems Technology as well as the program in Chinese Language Pedagogy of the Department of East Asian Languages and Cultures at Indiana University Bloomington. She has taught First-Year Composition for Multilingual Writers and Chinese language courses. She has also worked as lab staff in a teaching technology lab. Her research interests include technology integration in second and foreign language education, collaborative writing, technology-mediated communication, and learner and teacher identities.